Is Rheumatoid Arthritis A Diagnosis For Pain In My Finger & Wrist Joints? Rheumatoid Arthritis is an autoimmune arthropathy where body’s own immune system starts setting up an inflammatory response against joints. While it’s always better if a patient visits his physician for diagnosis of the disease, here are certain diagnostic criteria applicable for rheumatoid arthritis, which will help patients to have a better idea about the diagnosis of RA. Diagnosis of rheumatoid arthritis is chiefly a clinical diagnosis made by a doctor on the basis of characteristic clinical presentation of patients. There are many serological tests to support and confirm the diagnosis. When patients are in early stage of the disease process, they experience early morning stiffness and swelling in joints which reduce in the later part of the day. In the advanced stage of the disease patients may report of having intermittent episodes of joint pain, swelling and stiffness which persist for days or weeks together followed by symptom-free period. There is a kind of boggy swelling in joints with redness and excess secretion of synovial fluid that can felt on clinical examination of joint. Distribution of joints is another basis of diagnosis: Joints involved are usually small joints like joints of fingers, wrist joints, elbow joints. Bilateral involvement of joints i.e. involvement of same joints on both the sides of the body is another strong indication for clinical diagnosis of rheumatoid arthritis. In advance stages, wasting of muscles and soft tissues surrounding the joint may be noticed. Rheumatoid Factor is basically an autoantibody found in the blood of the patients, suffering from rheumatoid arthritis. The presence of RF factor in the blood of the patient signifies autoimmune inflammatory disease process. As this was the first antibody which was found associated with rheumatoid arthritis it is named as RF factor. An antibody is produced by our immune system as a part of body’s defense against external infections or external harmful stimuli. An autoantibody is an antibody produced against another antibody, which later on combines chemically to form complexes which trigger the inflammatory changes in the disease process. It carries high significance as a biomarker for diagnosis and prognosis of rheumatoid arthritis disease process. It exhibits very high specificity as well as good sensitivity in the diagnosis of RA. Its presence in patient strongly supports the clinical diagnosis of RA made by your doctor. As it is little less sensitive test, its absence in the blood doesn’t rule out the diagnosis of RA. High levels of rheumatoid factor in the blood indicate intense and progressive autoimmune pathology in the body which ultimately causes more damage to joint. 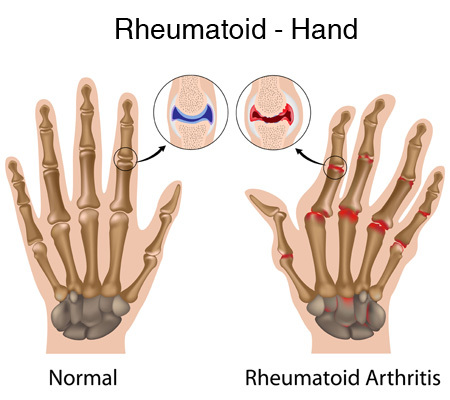 Seronegative rheumatoid arthritis: Patients who are clinically diagnosed to have RA, but test negative for RA factor are said to have seronegative rheumatoid arthritis. Most of these seronegative RA patients later transform into seropositive patients, as they develop Rheumatoid factor in their blood with the advancement of disease pathology. Patients who test positive for RA Factor are said to have seropositive rheumatoid arthritis. The presence of Rf factor can sometimes relate to autoimmune disease other than rheumatoid arthritis. It is rate with which Red blood cells settle down in one hour when given certain specific no of rotations after the process of coagulation. ESR is found elevated in inflammatory diseases and autoimmune diseases and also in some other conditions like pregnancy, acute infections.ESR is a nonspecific indicator of inflammation and autoimmune diseases. As the name suggests is an acute phase protein synthesized by the liver. Its levels are on the higher side whenever there is chronic inflammatory disease process is affecting the body. Elevated levels of ESR and CRP indicate chronic (long standing) autoimmune inflammatory process in the body. This recently introduced test is more specific and more accurate to establish the diagnosis of Rheumatoid arthritis, unlike the other tests like ANA, and CRP which are found to be elevated in many other autoimmune (with or without inflammatory pathology) diseases like SLE. It shows excellent specificity in diagnosis RA especially when the disease is in early stages. Although it shows excellent specificity, it is low on sensitivity. It is also called as anti-cyclic citrullinated peptide antibody (anti-CCP antibodies). It is considered as an excellent biomarker for diagnosis of RA in early stages since it is present in patient’s blood right since the early stage of the disease process. In early stages of RA when pt may test negative for RA factor, may test positive for anticitrulline antibody , which confirms the diagnosis of RA. Although highly specific, it is low on sensitivity. Hence its absence doesn’t rule out the diagnosis of Rheumatoid arthritis. Research shows that these antibodies are not frequently found in other inflammatory autoimmune diseases. Hence it is considered as more specific than Rheumatoid factor in diagnosing RA. Also, it helps to confirm the diagnosis of RA versus other inflammatory arthritis, systemic inflammatory diseases. Great prognostic value: Research gives a strong evidence that patient of RA with positive anti ccp antibodies test are more likely to have bad prognosis with more disease activity ultimately leading to extensive joint damage. Patient with absent anti-CCP antibodies is found to have less extensive joint damage, as evidenced by radiographs of joints repeated at regular intervals in both the group of patients. Antinuclear antibody (ANA): This test is usually done to rule out the autoimmune nature of the disease. 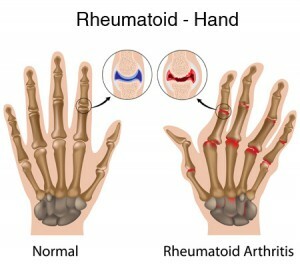 Since rheumatoid arthritis is an autoimmune disease, most of the patients suffering from RA are found to test positive for ANA test.This tests suggest presence many other autoimmune diseases like autoimmune haemolytic anaemia or autoimmune hepatitis etc, hence not specific in the diagnosis of rheumatoid arthritis. Anti-dsDNA (Anti-double stranded DNA): is another test which suggests the presence of autoimmune disease process, thus can be suggested by a doctor for patients suffering from rheumatoid arthritis. Xray: Xray imaging of joints will reveal the anatomical changes in the joint that have developed as a result of joint damage caused by various antibodies found in rheumatoid arthritis. In early stages of disease minor or no anatomical changes are not noticed in Xray imaging. Additional imaging studies that doctor can suggest in advance cases are MRI and an ultrasound scan of the affected joint.